The original inspiration for the research project which led to the publication of my paper, “Warning dreams preceding the diagnosis of breast cancer,” began in 2004 when Diane, one of my best friends, called me to say she had been diagnosed with breast cancer. A cardiac physiologist-turned-mindfulness meditation teacher, she had just had her 50th birthday and was previously in good health with no symptoms related to her breasts. What Diane told me next would many years later send my research career off in an unusual direction into the world of dreams. She said a month earlier she had had a vivid, morereal-than-real dream of being on an operating room table having surgery on her breast for cancer by a woman surgeon. The dream was so compelling that she immediately went to her doctor to request a mammogram even though she had no symptoms or palpable lump. After having the test every woman dreads and sitting in the waiting room anticipating bad news, the woman radiologist came out to assure her everything was fine, and she could go home. Diane was so certain of the warning from the dream that she asked for an ultrasound just to be sure. The radiologist refused saying that since there was no lump or abnormality on the mammogram she wouldn’t know where to do the ultrasound exam. Diane pointed to the spot indicated in her dream and refused to leave without the ultrasound being done in that location. The exasperated radiologist finally agreed and put the ultrasound probe on the spot. She was shocked to find a small cancer deep in the breast and turned white as a ghost. She stammered, “How did you know it was there?” Diane replied that she was shown the cancer in a dream, and as a radiologist I can imagine that was quite an unexpected explanation for the doctor. A referral to a surgeon for a biopsy led to another surprise for Diane. 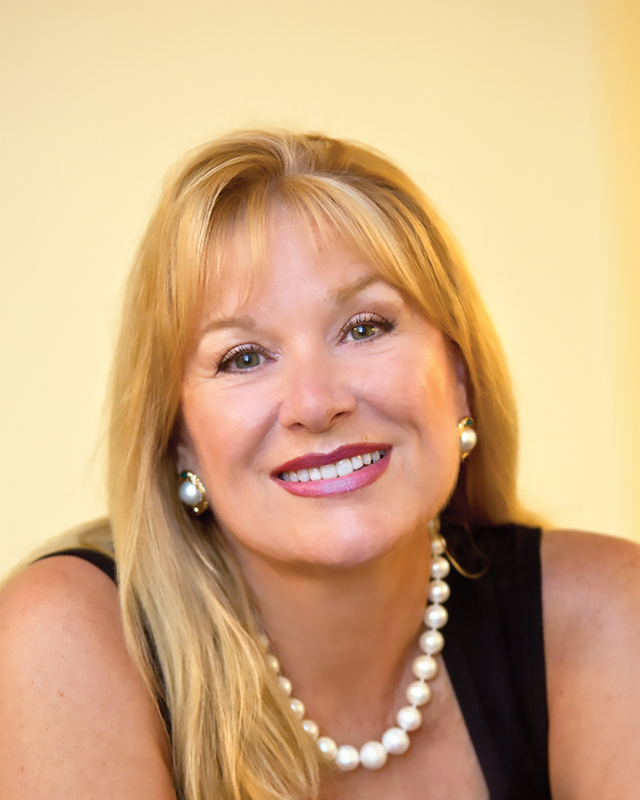 When she walked in the office she recognized the woman surgeon from her dream, dramatically taking her precognitive experience to the next level. The future vision scenario continued to play out in the operating room just as had been foretold in the dream as detailed below in summary from her dream diary in March and the narration of the scene in the operating room from April. In March 2004, I had a vivid dream (unlike any before) in which I was lying on an operating table and a woman surgeon was operating on my left breast. At one point, she went to a microscope and looked through it and came back and told me that I have breast cancer. After hearing this news from the doctor, my daughter and former husband broke down and cried. I woke up. While I was startled, there was also a sense of calm at the same time, a knowing that I needed to get checked medically as soon as possible. I was scheduled for an appointment several months later for my annual mammogram and I called and moved the appointment up. On April 9, 2004, I was lying on an operating table. A woman surgeon excised breast tissue which was then examined under a microscope and determined to be cancer. Shortly after waking up from the anesthesia and getting dressed to go home, the doctor came to tell me that I had breast cancer. At home, my former husband and my daughter cried with the news. Seven years later I was invited to present on a Medical Dream Diagnosis panel at the annual Parapsychological Association meeting held in Durham, NC, in August 2012. After telling Diane’s story I was approached by Bob van de Castle, a famous dream researcher, about making a related presentation on dreams and cancer at the next International Association for the Study of Dreams (IASD) meeting in June 2013. At the same meeting, a physician/consciousness researcher friend of mine shared her story of breast cancer warning dreams with me, giving me reinforcement to submit the proposal to present at the IASD meeting. She had two scary dreams in one night, the first being about a serial killer, the kind that would make you get up in the middle of the night and check to make sure your doors are locked. The next one was about having breast cancer, found the next day on a mammogram without any symptoms. It is a standard joke in medical research that when you discover one unusual diagnosis you can say you have “a case report.” If you see another similar one, then you can say you’ve seen “case after case.” If you find a third, then you have “a series.” The third one in my experience came from another friend who I had only met once during a week at a 2008 healing retreat in Brazil. Sonia Lee-Shield’s story from her blog below is truly a cautionary one that gave me the final push to do the research project. In January 2009, I had a dream that I had cancer. I went to the G.P (General Practitioner) complaining of a lump and spasm-like feelings on my sternum. The G.P. concluded it was normal breast tissue, and the feeling in my sternum was dismissed, a devastating mistake. A year later, a different doctor diagnosed stage 3 breast cancer. If there’s one thing I could impart to everyone is that doctors and specialists make mistakes and when an inner voice starts screaming or dreaming you should listen. Sonia died in 2013, and I now dedicate all my talks on this topic to her memory. Part of the motivation for doing research in this area is to make sure no other woman has her breast cancer warning dream dismissed by her doctor. Larry Burk, M.D., C.E.H.P., President of Healing Imager, PC, specializes in teleradiology, Emotional Freedom Technique (EFT), hypnosis, and dreamwork. He attended medical school and residency training at the University of Pittsburgh and later trained in acupuncture and hypnosis, becoming a Certified Energy Health Practitioner. The author of Let Magic Happen, he lives in Durham, North Carolina. 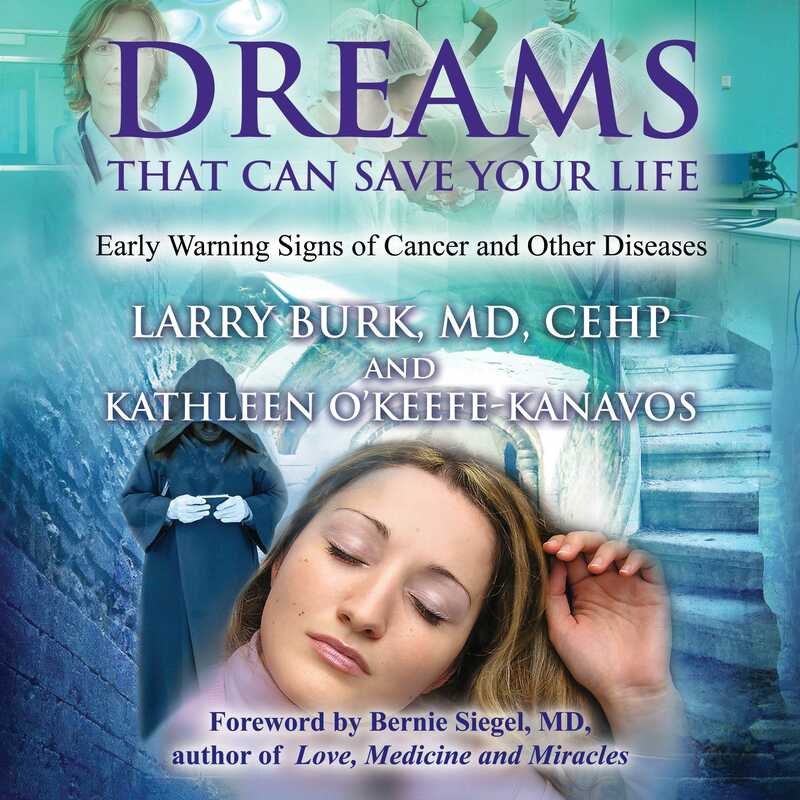 Kathleen O’Keefe-Kanavos has spent years studying and teaching about dreams. A three-time breast cancer survivor whose premonitory dreams diagnosed her cancer, she credits her survival to conventional treatment combined with her dreams as a diagnostic tool. Kathleen is one of 20 case studies from a paper on precognitive dreams that diagnosed breast cancer recently published in a medical journal. She lives in Palm Beach, Florida.